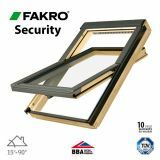 One of the fastest growing manufacturers of roof windows in the world, FAKRO roof windows combine functionality, energy efficiency and security, without compromising on style. FAKRO windows come in wide range of styles, shapes, finishes and operating systems, so you’re able to find the perfect FAKRO roof window, rooflight or skylight for your home. Here at Roofing Superstore we've created a guide to FAKRO windows to help you decide which sized FAKRO window is most suited to your project. Find out more here. 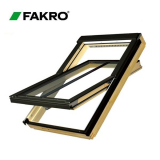 How to choose the perfect FAKRO roof window? 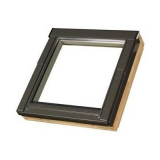 Centre pivot windows are the most popular forms of roof window, and can be rotated 180 degrees to clean the outer side of the window, but they do create a slight restriction of view when part-opened. Top hung and high pivot FAKRO windows provide more flexibility – the top hung windows allow a much more unrestricted view when opened. FAKRO Balcony windows have been created with a two sash design, meaning that the upper sash opens to create a balcony, whilst the bottom sash opens out with side barriers for safety. 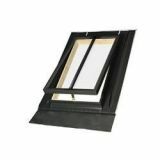 Side hung windows offer a safe and easy accesss to the roof, whilst also acting as an escape route. 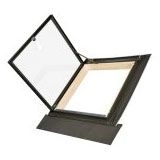 There are also a range of FAKRO rooflights available, with both non-opening and roof access options to choose from. 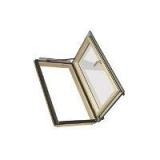 FAKRO windows have a wide range of glazing options, depending on budget, use, location and more. 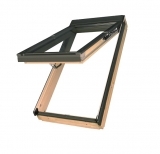 The most popular and one of the more budget friendly options is simple double glazing – with a U value of 1.3, double glazing still retains heat and prevents energy loss whilst remaining simple and practical. 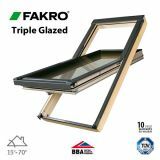 Triple glazed FAKRO roof windows have an extra pane of glass, reducing heat loss further, and there are even quad glazing options available, which are popular in areas of high noise levels, such as in built up cities or near industrial facilities. 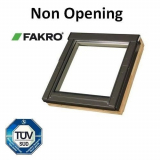 FAKRO have introduced a range of non-standard glazing options for your roof windows and roof lights. One such option is energy efficient glazing, which consists of triple glazing with thicker panes and low emission coatings, which have inert gas in between the panes, resulting in a U value of 0.5, which almost completely eliminates heat loss through the window.  Alternatively, choose security glazing, which is designed to provide increased resistance to breakage, or sound proof glazing which reduces noise penetration with specially laminated inside glass panes which have a layer of sound proofing epoxy resin. 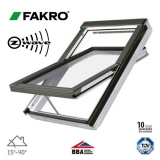 FAKRO roof windows and rooflights come with a range of operation options to choose from. As well as the classic manual operation, which is often chosen for accessible roof windows for ease and simplicity, you can also opt for electric operation of your FAKRO windows or rooflights. FAKRO electric roof windows are operated by Z-wave, which is a wireless protocol that allows communication between appliances, such as thermostats, lighting and air conditioning. This not only allows windows to be opened when they are inaccessible, it also allows you to have a much more intelligent home, saving you energy and money. 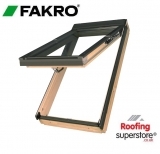 Don't forget you can enjoy Roofing Superstore’s FREE delivery on all FAKRO windows and roof lights!